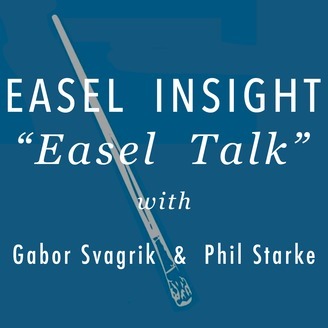 Artists and teachers, Gábor Svagrik and Phil Starke, take a look at the process of painting, discussing the pitfalls and solutions from their experiences. Each new episode is aimed to give artists tools to keep them moving forward, transforming their time in the studio and out in the field. Discussions will include tips, techniques, strategies for development, and a whole lot more. So join us as we talk about all things art. 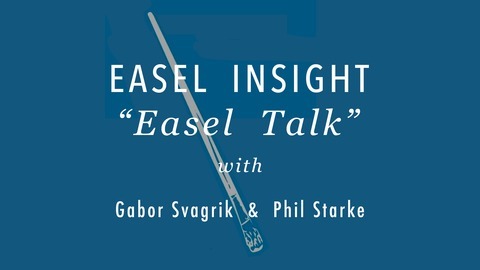 Visit www.easelinsight.com to get the free download that comes with the episode. In this episode, Phil and Gabor discuss edges, should you vary them, or not. Be sure to grab the Show Notes for this episode so you can follow along as Phil and Gabor go through this discussion. What Does It Mean To See As An Artist?